Searching for methods to earn money online? Writing eBooks and selling it online is also a good way to earn money. Start writing your eBook in your expertise topic and Techie Feeds now introduces the place to showcase and sell it in the Internet. 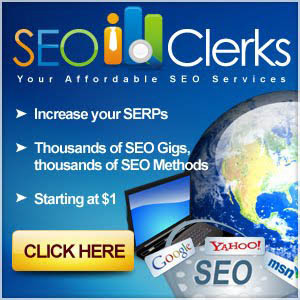 As we already discussed, seoclerks is a SEO service website. Which provides you SEO services at affordable price and gives you various ways to get paid by SEO and non SEO works. SEO clerks also provide you the chance to sell and buy eBooks on various topics. Now, You need to verify your Email ID by clicking the verification mail send to your inbox by Seoclerks. Yeah! You are become a member of SEOclerks now. 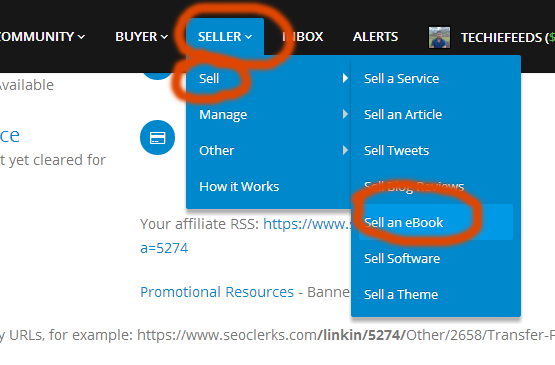 To sell your Ebook, click on Seller -> Sell -> Sell an eBook. 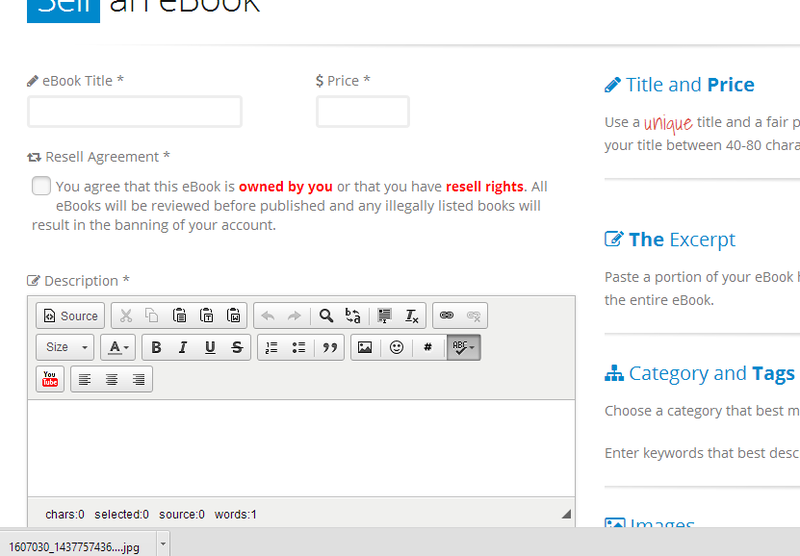 And start filling details about your eBook.The details includes eBook title, Price, description, contents etc. and finally Upload your eBook and click submit. Yeah! You are done. Whenever someone interested and buy your eBook, You will be get paid. It is advisable also demand only less or affordable price to get more sales and keep your eBooks in pdf format with protection. It is also a good way to publish your blog posts as an eBook and sell it. click here to know to create an eBook with your blog posts by a single click.